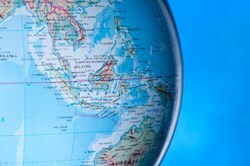 MyMEDHoliday.com has added the Philippines as one of its top medical tourism locations. The Philippines offers lower cost medical procedures at accredited medical facilities and relaxing recuperation spas on its scenic islands. The Philippines proves to be a growing medical tourism destination with affordable procedures and relaxing recuperation locales. One reason the Philippines has been recognized for medical tourism is the relatively low cost of medical treatment. In addition to affordable surgical procedures, medications as well as accommodation and transportation are inexpensive due to lower cost of living expenses when compared to other countries. The hub of Filipino medical tourism, the capital city Manila, has more than 2,000 hospitals and specialty clinics as well as many popular tourist destinations. “Several leading hospitals in the Philippines have an established international partnership with hospitals, such as New York Presbyterian Hospital and its medical schools at Columbia and Cornell Universities,” said Julakasilp. Staffed with highly-qualified medical personnel, medical facilities in the Philippines provide patients with courteous, English-speaking staffs who have been trained internationally. In many cases, employees spend two months a year working in the United States for advanced studies. With immediate treatment and no insurance hassles, the Philippines provide a tension-free atmosphere for patients during their treatment. Once patients move on to the healing phase of treatment, they have the option to recuperate on any island in the country where they receive skilled after-care services. Relaxation and natural health centers offer spa packages that include detoxification and organic foods, meditation and massage. Travel to the Philippines is easy from most major international airports, and English is spoken by 90 percent of the population. United States and Canadian visitors also enjoy a 30-day stay without a visa and can apply for a visa if a longer stay is necessary. More information about medical tourism in the Philippines can be found at MyMEDHoliday.com. In addition to the Philippines, MyMEDHoliday.com extensively details several other medical tourism destination hubs in Asia, including Thailand, Singapore, South Korea, India, Malaysia, China, and Taiwan, helping tourists find the best and affordable healthcare providers for their needs. Its advanced search tool eases patients to locate hospitals and clinics based on specific criteria like international accreditation or language support. The site also offers ‘send inquiry’ and ‘get a quote’ features which gives patients access to contact single or multiple providers directly at one click.